I think we’ve all known the struggle it can be to manage Instagram comments without losing track of an important comment thread on an older post. Have you ever glanced at your (hundreds of) Instagram notifications to see a comment on a much older post, only to lose it and not be able to find it again? ARGH. I think we’ve all been there. In my opinion, comment management has traditionally been one of the great shortcomings of Instagram. It’s easy to lose comments on older posts. There really aren’t that many affordable tools that help you keep track of and respond to those comments either… UNTIL NOW! I know you are savvy and I probably don’t need to lecture you on why it’s so important to respond to all of your Instagram comments. 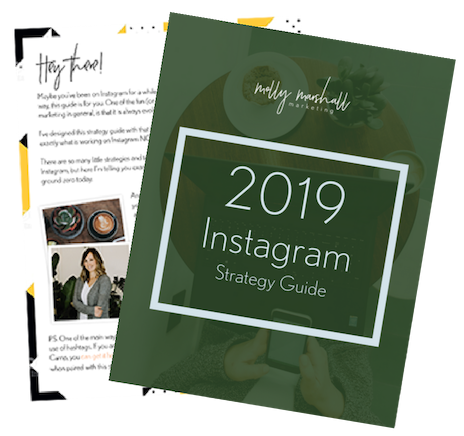 But, the short of it is, the fastest way to run your Instagram engagement into the ground is to NOT engage. You absolutely should be responding to all comments and direct messages on Instagram. Today’s consumers expect social media to be a two-way street. From tweeting their complaints on Twitter in hopes of receiving speedy help, to leaving order questions on random Facebook posts, social media has made businesses extremely accessible to the average consumer. And the consumer expects a response. Luckily, this is all so much easier now due to Facebook’s new integrated social inbox. In November, Facebook (Instagram’s parent company) started rolling out an integrated inbox that combines your Facebook page messages, page notifications and Instagram account comments in ONE PLACE. You can access this new inbox either ON YOUR FACEBOOK PAGE (Desktop) or via the FACEBOOK PAGES MANAGER app for iPhone/Android. 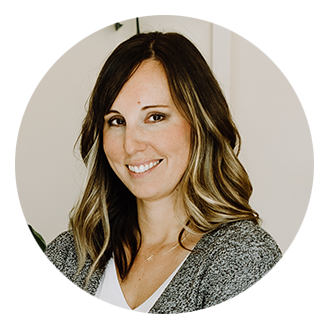 First, you should connect your business Facebook page and your business Instagram account so they are linked. If you don’t already have it, you should DOWNLOAD the Facebook Pages Manager app. It’s available for iPhone and Android devices. You’ll see in the graphic below that you have three tabs: one for Messenger, one for Facebook page notifications (like comments on posts), and one for Instagram comments. If you click on “Inbox” you’ve actually got sub-folders, just like an email inbox. You have folders for unread items, items you’ve marked for follow up, items you’ve marked as done or resolved, and a place for spam. You can swipe left to mark an item as unread, or move it to your follow up folder. This is the view when you click on an item. You can respond to all comments, then click the check mark in the upper right corner. This moves it to your “Done” folder. The extra-cool feature is that the next time someone comments on that post, it shows back up in your inbox, no matter how old the post is. I manage my Facebook page through Facebook’s Business Manager and I have this universal inbox on desktop. However, I manage several Facebook pages and none of the other pages have the universal inbox on desktop yet. I believe it is in the process of being rolled out universally. Alternatively, you can go to this URL to check. Replace “pageslug” with YOUR page name that you use in your shortened Facebook URL. Did you know about this feature? 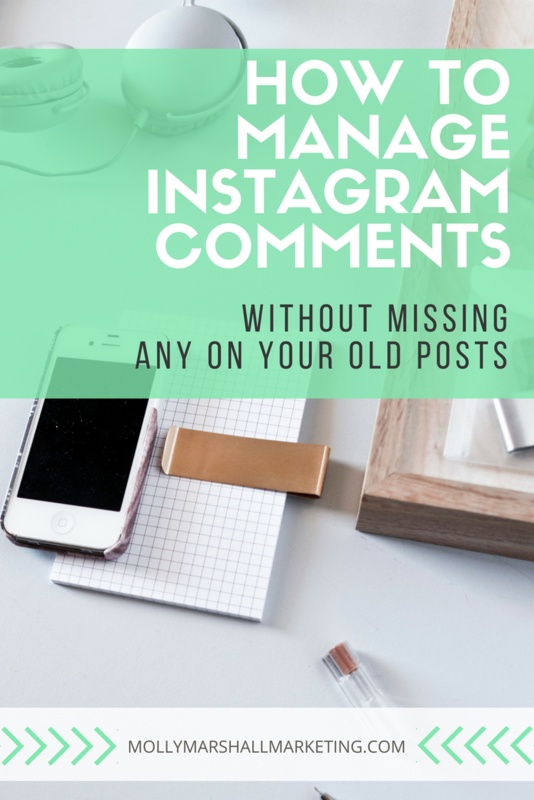 Will you use it to manage your Instagram comments now? Woo! Glad it will help you! This is pure gold Molly! As an SEO company in Folsom, we need to stay on top of our game and every little bit counts! Thanks so much! Hi Molly! Love this post, super informative. My name is Lizzie and I work with Later.com – we just released a new feature to help users manage their Instagram comments directly in the platform. More info on it here: https://later.com/blog/manage-instagram-comments/ if it makes sense to integrate this feature into a post update, we would love it! This is a good start for merging Instagram and Facebook. If only Instagram would make posting more friendly for those businesses who manage more than five accounts. Wish we could post from desktop and would not get security requests when we log in and out. I had no idea about this! I just set it up. I notice that the app does not reflect the now hierarchical nature of instagram comments, so I probably won’t be using it to actually comment, but it allows me to catch comments to older photos, which is a great thing. I know that Instagram is all about simplicity, but why there isn’t a way to filter away likes, is beyond me ;-). Thank you so much for sharing! Molly this is amazing! I have apps that help me post photos on time, but I didn’t know this was possible. You are a life saver!! This is really useful. Thank you Molly. This makes my life so much easier… So many thanks! Seamless and step by step! Great!! Thanks Molly, this is a great reference to have! Just as you’ve said, I’ve been losing my mind! !..Though not anymore, thanks to this! These step by step processes truly make life so much easier…THANK YOU!! Thanks! That walk though was ever so helpful!